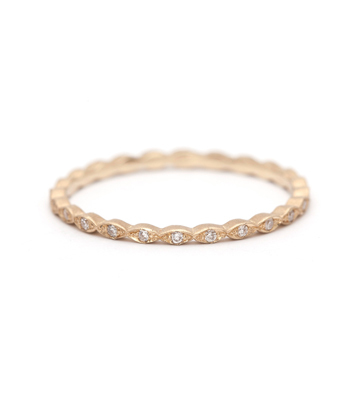 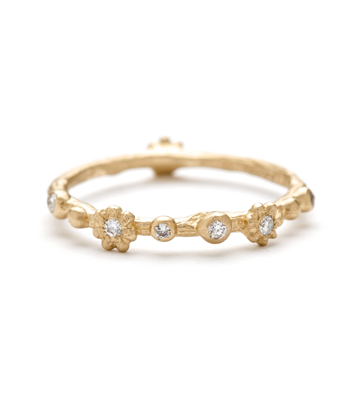 Four evenly spaced subtle pods, set with micro-pave diamonds (0.07 ctw) encircle this 14k gold textured stacking band. 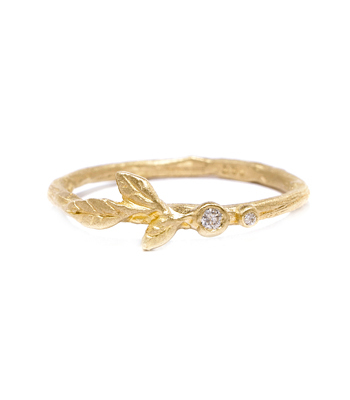 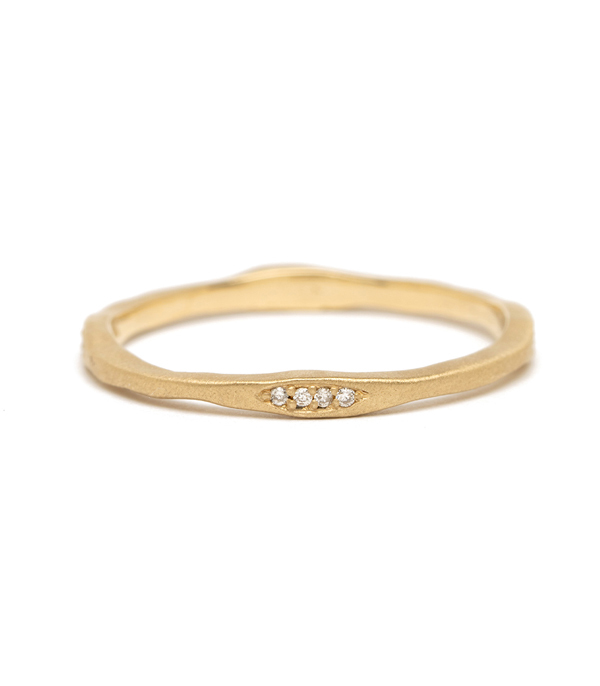 A perfect sparkly touch, this dainty ring can be worn alone or added to almost any set. 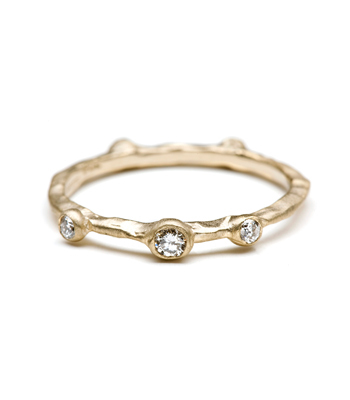 This piece would make an excellent wedding ring for the “Natural Beauty” bride! 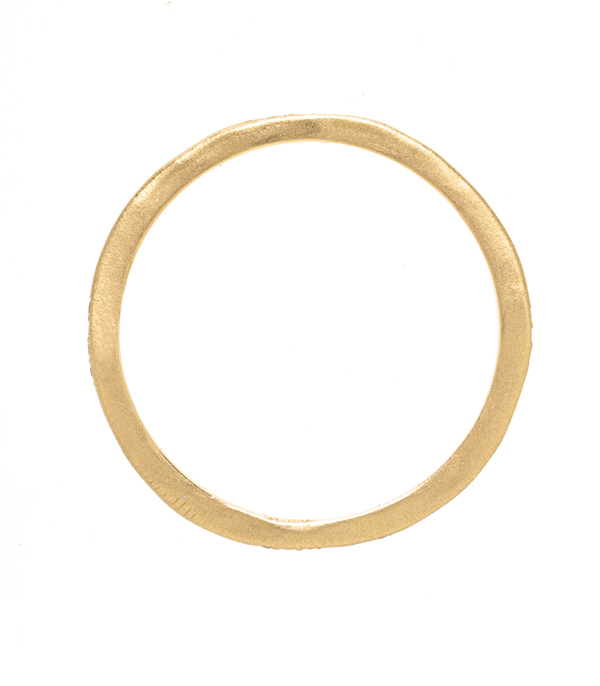 Band measures approx 1.5mm at widest point. 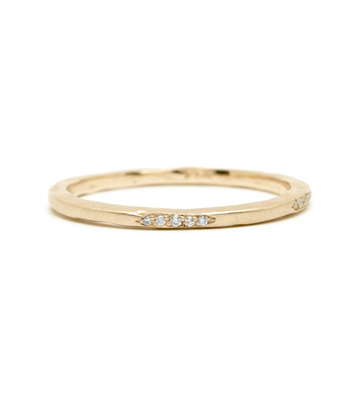 Categories: Earth and Sky, For the New Mom, Holiday, Modern Bohemian, Rings, Stacking Bands, Stacking Rings, Women's Wedding Bands.